Since I was young, I’ve had a LOT of hair. It takes a full day to air dry and although it’s not as thick as some, it certainly is the reason I try to blow dry it no more than twice a week. It takes me about 30 minutes to blow dry, then another 5-15 minutes if I’m straightening/curling. It’s simply obnoxious. 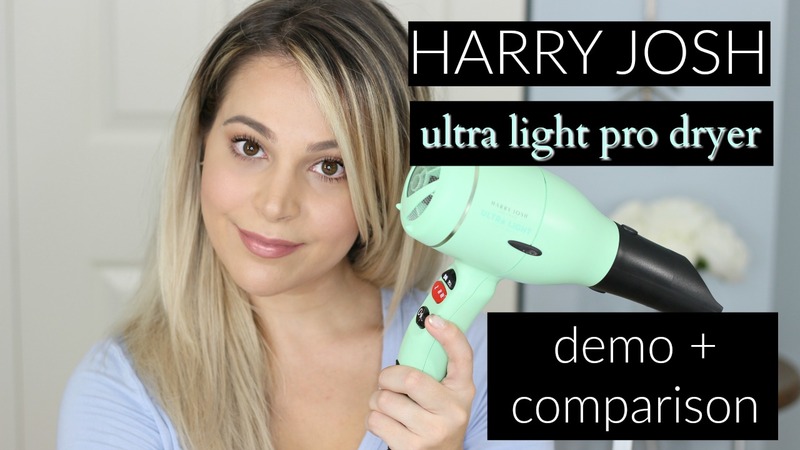 When Dermstore.com approached me asking if I’d like to try the new Harry Josh Ultra Light Pro Dryer ($349) used during the Victoria’s Secret NYFW Show – completely complimentary – I jumped at the chance. Who hasn’t wondered if a $300-400 hair dryer really makes a difference, right – especially us thick-haired girls!? I put it to the test against my standard Conair Infiniti Pro 1875. Ready for my Harry Josh Ultra Light Pro review and results? This hair dryer is expensive. As someone who has never tried a high-end hair dryer, I couldn’t understand what the deal was. The Harry Josh Ultra Light Pro is less than 1 lb, powerful, yet fairly quiet. You can watch TV (or YouTube, like me) while drying your hair. The Ions ACTUALLY make my hair smoother compared to other dryers I’ve tried that have the same claim. But the biggest perk to the Harry Josh Ultra Light Pro was how fast it dried my hair. The Harry Josh Ultra Light Pro dried my hair to a smooth finish – no straightener needed – in 16 minutes. My traditional Conair takes 27+ minutes, and I still need to run a straightener over it to tame the mane! If you want to see it in action for yourself, check out my YouTube demo/comparison below. 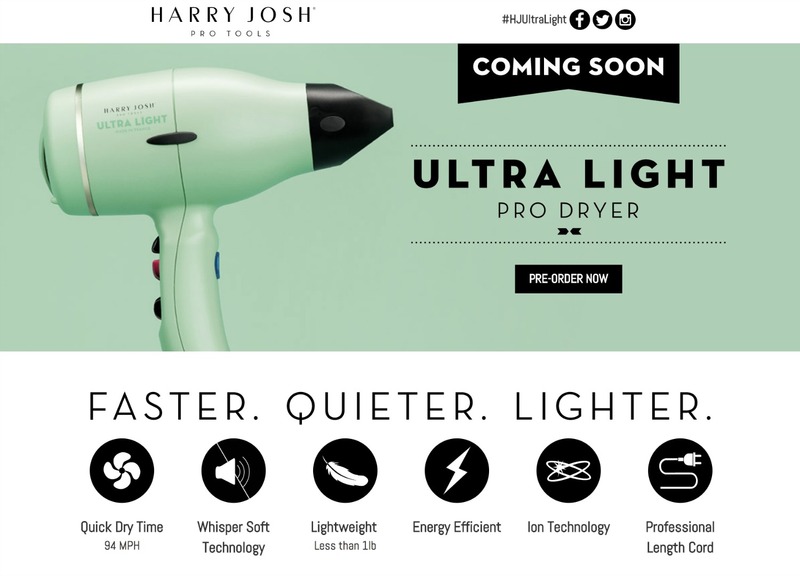 The Harry Josh Ultra Light Pro Dryer goes on sale officially TODAY on Dermstore.com. What do you think? Are you a high-end hair dryer kind of girl? If so, how long has yours held up? I’m thinking if it can last me 4+ years, it’s totally worth it. "How To Quickly Get Rid of Acne At Home | Lightstim For Acne Review"
"Are The Maybelline City Mini Palettes Worth It? | Urban Jungle Look"